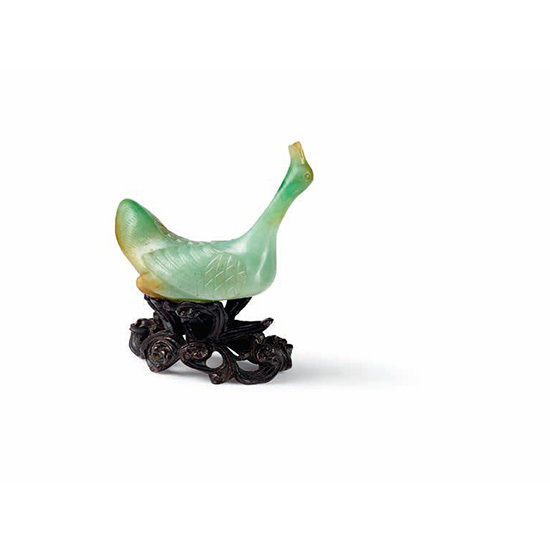 The jadeite is carved in the form of a goose with its head turned upwards and webbed feet tucked beneath its body. The piece rests on an openwork wooden stand with wave design. 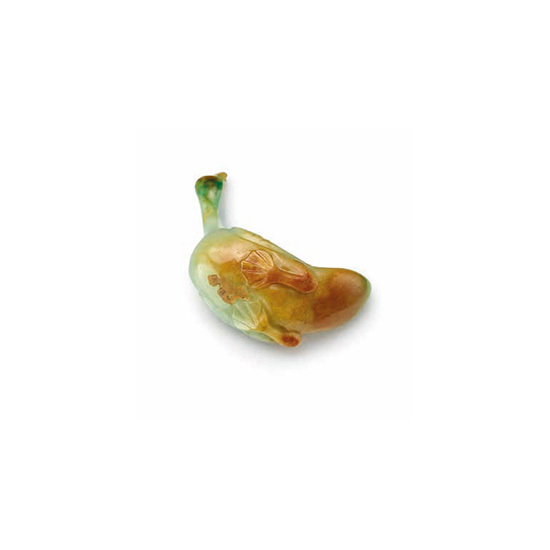 The jadeite is slightly translucent with patches of white, bright green and russet colour. The goose is a popular theme among the literati as it recalls the famed calligrapher Wang Xizhi (303-361AD) who raised geese and claimed to be inspired by their graceful neck movements.